I've had my eye on A Plague Tale: Innocence since it was announced. Publisher Focus Home Interactive has today announced that the game will launch on May 14, 2019, on PS4, Xbox One, and PC. Developed by Asobo Studios, the game features a dark and oppressive style with horrific swarms of body-devouring rats that will take players on an emotionally harrowing journey through 14th century France at the height of the plague. The publisher has released the first in a series of developer diaries showcasing some excellent behind the scenes footage which introduces players to the two main characters, a pair of orphans on the run from the Inquisition. 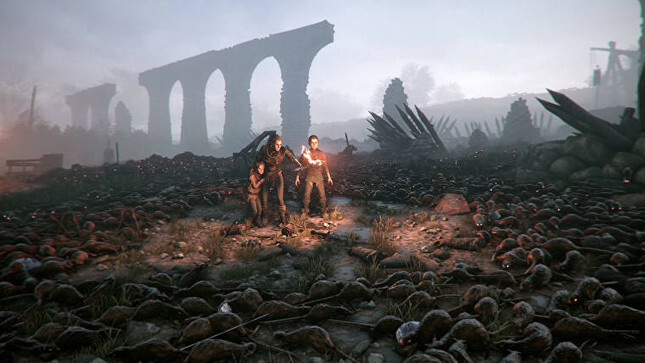 Blending elements of action, adventure, environmental puzzles and stealth, players will have to avoid supernatural swarms of rats and human enemies. I'm a big fan of the game's art style and can't wait to check it out at launch. What do you think? Will you check it out? Let me know in the comments below! A Plague Tale: Innocence is releasing May 14 on PlayStation 4, Xbox One, and PC.